Great news, friends. We’re in the news again! 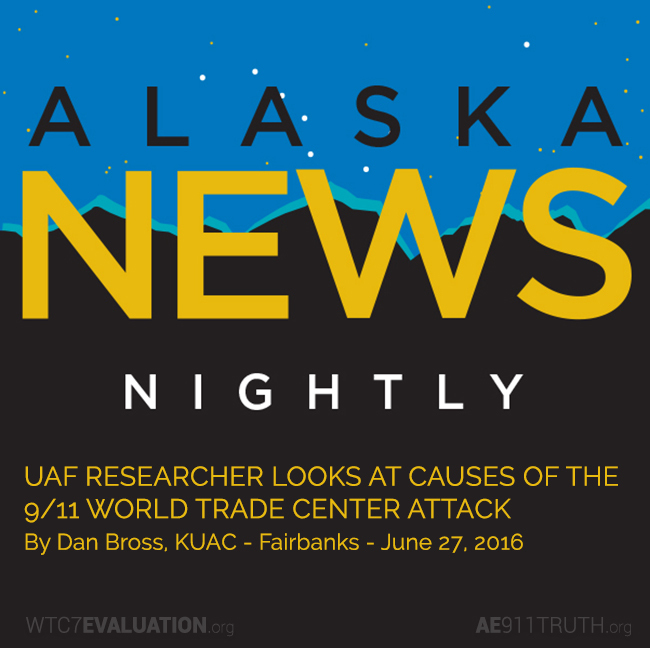 Yesterday, the Alaska Public Radio Network aired a segment on WTC 7 Evaluation — interviewing Dr. Leroy Hulsey of the University of Alaska of Fairbanks about his research into the collapse of WTC 7, which is being funded by Architects & Engineers for 9/11 Truth. Hear what Dr. Hulsey has to say and enjoy some refreshingly balanced mainstream news coverage of our efforts. Thanks again to everyone who has supported and promoted the WTC 7 Evaluation project!